Digital flat panel x-ray detectors are an excellent example of how an established technology can enter into a new market. This is apparent in their use in medical imaging, where flat panel digital x-ray technology continues to show great promise in diagnostic and treatment capabilities. Keeping this in mind, medical imaging has become the focus for flat panel digital applications and solutions, replacing traditional film radiography in hospitals and clinics as it improves efficiency, accuracy and productivity. For example, hospital technicians can position a patient, take an image and review it immediately. The technology takes only minutes to process information that with older technologies took hours or even days, delaying important and even life-saving treatments. 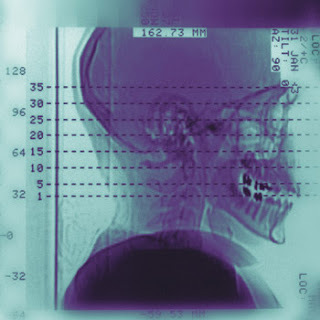 High-performance, flat panel digital x-ray technology is based on amorphous silicon (a-Si) fabricated on a glass substrate, using thin-film processing. An x-ray scintillator, which converts x-rays to visible photons, is grown directly on or is attached to the a-Si panel. These photons are converted into an electrical charge that is, then converted into a digital value for each of several million pixels on the panel to create the final x-ray image. Flat panel digital x-ray technology not only saves valuable time, but valuable space, as well. Hospitals can often replace two film rooms formerly used in traditional radiography with just one digital unit. In addition, there is no longer a need for expensive and often hazardous chemical processing. Another related application within the healthcare environment is real-time imaging for diagnosis in cardiology and angiography. In this imaging setting, flat panel digital detectors are universally replacing traditional image intensifiers. Medial professionals can view blood flow in the body in real-time at the rate of 30 images per second. The image from the flat panel digital x-ray detector is much sharper than those created with traditional image intensifiers. Digital subtraction angiography which is defined as subtracting an image taken without a contrast agent from an image taken with one, is also is more easily achieved using flat panel digital detectors. The subtraction process further emphasizes the vascular system by removing other elements, including bone, from the desired image to be viewed. On the other hand, even this process might be unnecessary as a result of the flat panel digital detector’s capacity in achieving adequate visibility using only one image, by way of using a contrast agent. This is beneficial as it provides a work-flow benefit, as well as lowering the x-ray dosage to the patient. Flat panel digital detectors also offer patient imaging for radiotherapy systems. Online image acquisition controls the patient’s position during a cancer treatment. Because they distinguish even the smallest contrast differences in bone and tissue, flat panel digital detectors can provide treatment at lower applied doses. Their high frame rates also provide improved treatment methods, such as intensity-modulated radiotherapy. In diagnostic medical applications, a 1000 × 1000-pixel image at 30 images per second can be achieved. There are detectors available that can produce a 2000 × 2000-pixel image, although some speed is traded for image size. Future applications may require 3-D imaging at the same high speeds, and products that can satisfy such applications are in development. Also, as costs begin to drop for flat panel digital technology, lower-priced, portable x-ray systems may be moved from room-to-room in healthcare settings, saving time and money. Applications for flat panel digital detectors have increased, and their use in current medical imaging settings continues to grow at a fast pace. Such growth is anticipated to continue to guide the next generation of medical imaging diagnostic treatments. The MedWOW online marketplace, the only international, multilingual (10 languages, including Chinese) medical equipment portal, offers a large selection of flat panel digital detectors systems and flat panel digital detector parts. You can find flat panel digital detector equipment for sale through MedWOW’s comprehensive online catalogue from: Adani, GE Healthcare, Philips, Shimadzu, Siemens and Toshiba and thousands of flat panel digital x-ray parts made by Camtronics Medical Systems, Esaote, GE Healthcare, Infimed, Philips, Shimadzu, Siemens and Toshiba. If you don’t find exactly what you are looking for on MedWOW, you can post a free buying request, and as thousands of international sellers use the site daily, you are sure to find the exact model of flat panel digital detector that best suits your clinical setting.